I’m Their Leader – Which Way Did They Go? I’m Their Leader – Which Way Did They G o? How can I insure my team is fully engaged? At our company picnic one year, we got together to buy our boss a new hat. It was a spiffy thing, a brilliant white baseball cap with deep blue accents and a matching bill – actually two bills. One pointed one way, the other pointed a different way. And engraved on the front was the humorous legend reading I’m Their Boss – Which Way Did They Go? I say humorous, because our boss was a great leader and we followed his vision and direction willingly. But that experience is seemingly rare for many workers. But perhaps the most telling comment of all was this one: “I wish I could have known The Boss”. There seems to be a deep sense of longing within many of us to connect with our leadership. We want them to see us, know us, believe in us, support us, and help us grow. Most of us would love to work for someone like The Boss. But there are not many like him around, which is part of the problem. Research tells us that many people don’t quit their jobs – they quit their boss! Poor people management is at the core of a significant portion of employee turnover. Poor communication, staffing issues, lack of challenge, lack of empowerment, feeling as though they aren’t cared for… the list for why we leave our job is long and ugly, and to a degree, debatable. 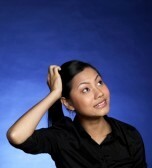 But there is one thing that is not debatable – the cost of turnover. NFI Research reports that 81% of senior executives say it is more difficult to recruit new employees than to retain valued existing employees. The Wall Street Journal reported that it can cost upwards of two times an employee’s annual salary to find, interview, hire and train a new team member. Wow! Those are the direct costs. Add to that the indirect impact of employee churn such as morale of those left behind, workload spread, slippage on projects, and customer service issues and the impact to the business really mounts up. So, enough of the experts and the research – most of us know all that stuff. But between those findings, and the plaintive “I wish I had known The Boss” we find a bit of magic. It is the best kind of magic – the win/win kind. The company wins, the team member wins – everyone wins. So what is the secret behind the magic? Glad you asked. It can be summed up in one sentence. The Boss cared. He cared about the business. He cared about the customer and the customer experience. He cared about the profitability of the enterprise. But running through all that, like a thread stitching the entire thing together, was how much he cared for his team. He was engaged – he practiced management by walking around – “earning his MBWA” is how he put it. And his wanderings yielded a lot of good information about how the business was performing, how the customers were reacting, and how his team was doing. He listened – he found out what was important to his team, personally and professionally. He was able to coach and help them because he had a good understanding of where they were on the learning curve as well as in their personal lives. He cared – I know, it sounds trite. But this is arguably the most critical factor in any manager’s success, the most valuable tool in the toolbox. The Boss understood this. When he noticed Dean’s lack of shoes, and took the time to buy him a new pair, he left an impression that can never be erased. Here is the principle – when we take the time to know our team members and their life outside the cubicle, they reward our investment with an investment of their own. We tap into their hearts, not just into their brain. He asked questions – The Art of the Question is a powerful way to learn and instruct at the same time. The Boss understood by asking the right questions, he could find out where the gap was in his team’s knowledge and lead them to the right answer. By asking questions instead of barking orders, he created an atmosphere of interest and engagement within the team. He challenged – Most employees want to feel challenged in their work. The Boss kept the team challenged through subtle competition within the team. The Boss’s Life Lesson: When you generate healthy, good-natured competition, everyone wins. The stakes are enormous. CNN Money warns businesses, “Your employees can’t wait to quit”. The article goes on to say that according to ManPower, 84% of employees planned to look for a new position last year. The number of employees who planned to look for a new job grew 40% in one year! Think about the impact of losing a key member of your team. Consider the costs – financial and otherwise. And ask yourself this question: What can I learn from The Boss? 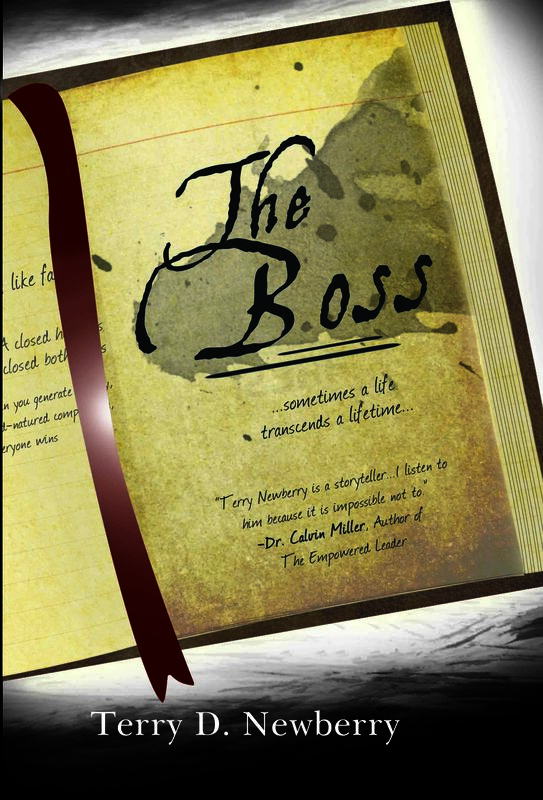 The Boss is available in softcover, hardback, and audiobook. For more information on The Boss, go to terrynewberry.com. This entry was posted on Wednesday, July 25th, 2012 at 6:59 pm	and tagged with Employee Retention, Leadership, Management, motivation, terry newberry, The Boss and posted in Uncategorized. You can follow any responses to this entry through the RSS 2.0 feed. Great reminders here Terry! This is something we can all use – as employees, entrepreneurs, parents and teachers. Great life lessons provided by The Boss. Thanks for sharing and giving us all the opportunity to learn and grow in the area of leadership.